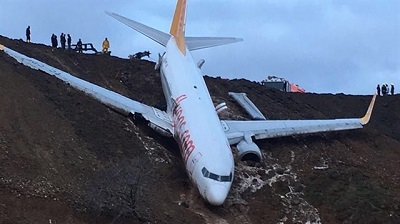 On landing the aircraft veered to the side of the runway where it fell down a steep embankment before it came to rest. All 166 on board survived. Some of them received minor injuries. 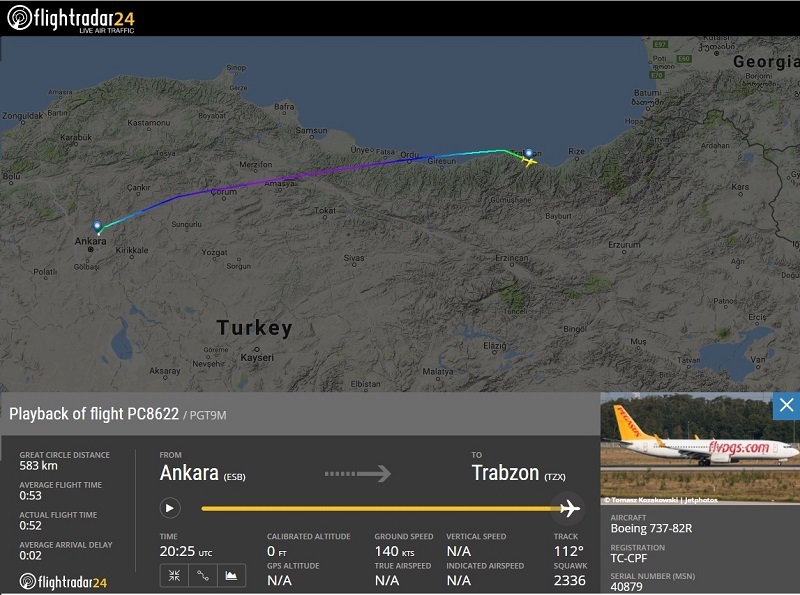 Pegasus Airlines flight PC 8622 from Ankara was landing from the west on runway 11 in darkness and rain (23:26L) at Trabzon-International Airport when during the deceleration process, the aircraft ran to the left of the runway. 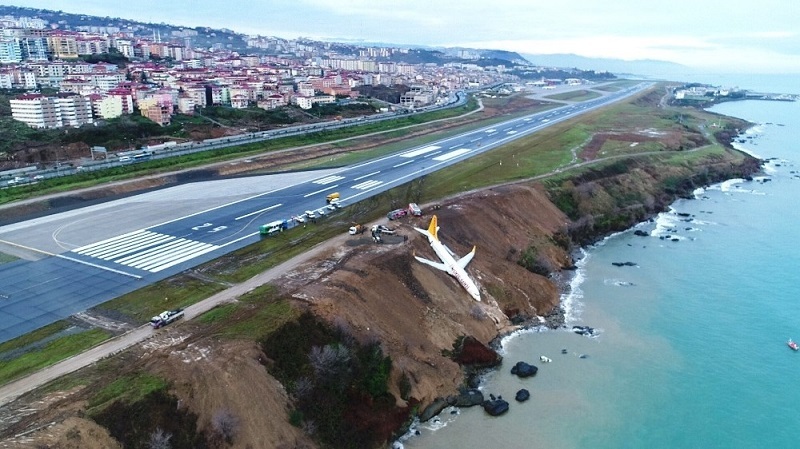 The pilots were, however, unable to correct the misalignment with the runway centerline until the aircraft departed paved surface of the hard shoulder and rolled over soft, downsloping terrain where it came to a stop in a strong nose-down position only a few meters away from the waves of the Black Sea. An emergency evacuation was initiated via overwings exists and chutes. All 166 on board made it out safely. 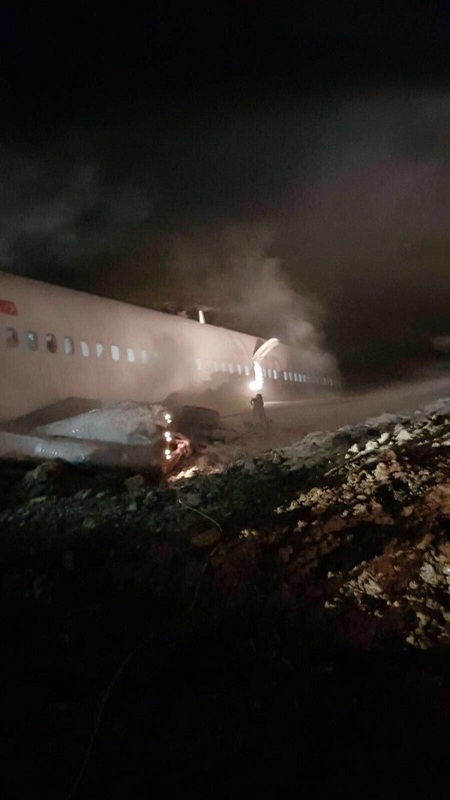 The wings, engines and undercarriage received substantial damage. 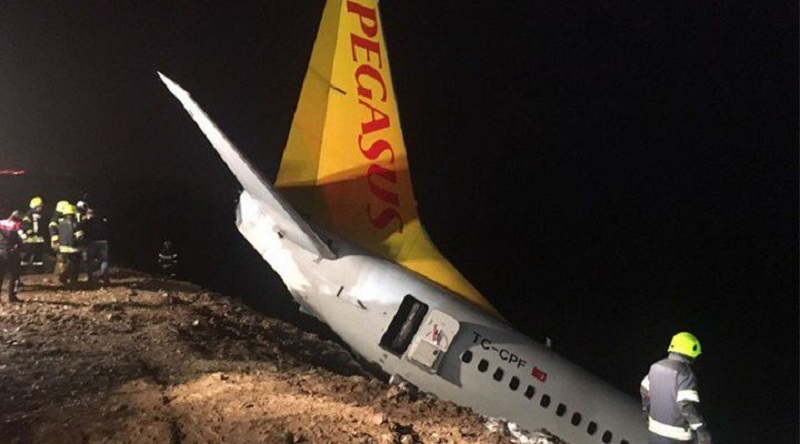 The nosegear and the right maingear were sheared off or collapsed. 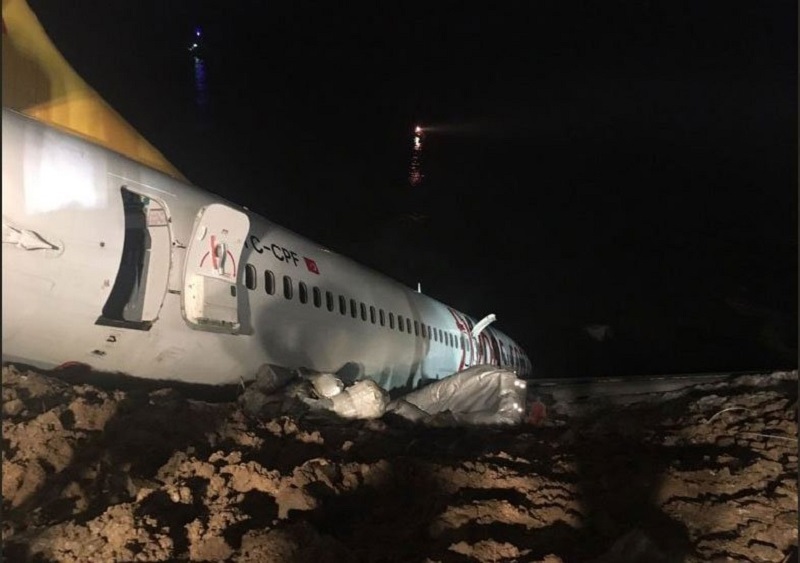 The right engine separated and was found to have fallen into the shallow waters of the Black Sea. There almost was any wind at the time of the accident, but local visibility was somewhat reduced because of rainfall. Turkish authorities have launched an investigation. 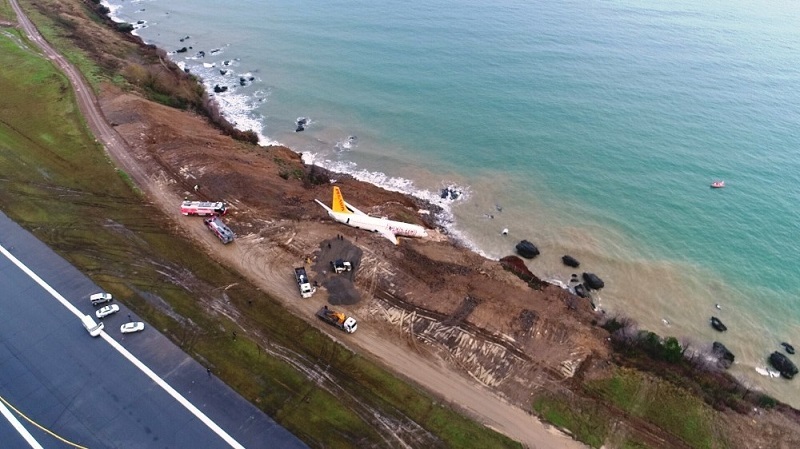 The Airport operations came to a halt because of an ongoing emergency beneath the runway. 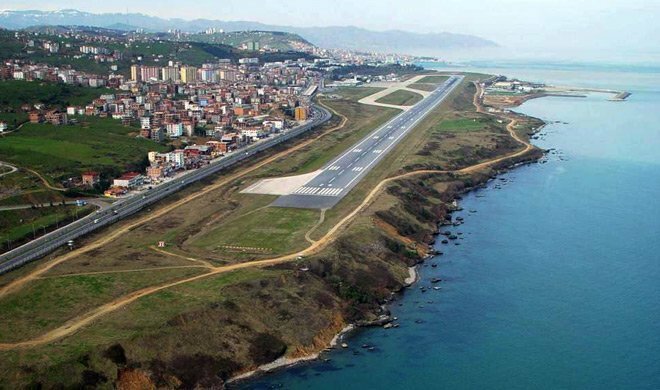 Trabzon Airport is built close to the shoreline. 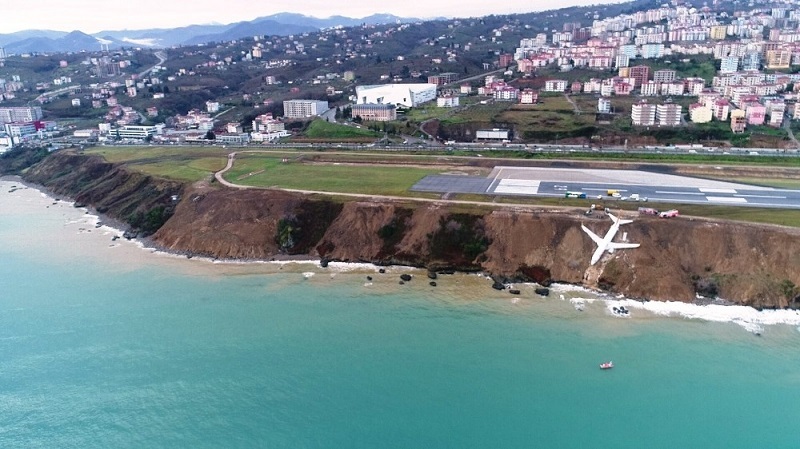 Its single runway is measuring 2640 x 45 m (8661 x 148 ft). 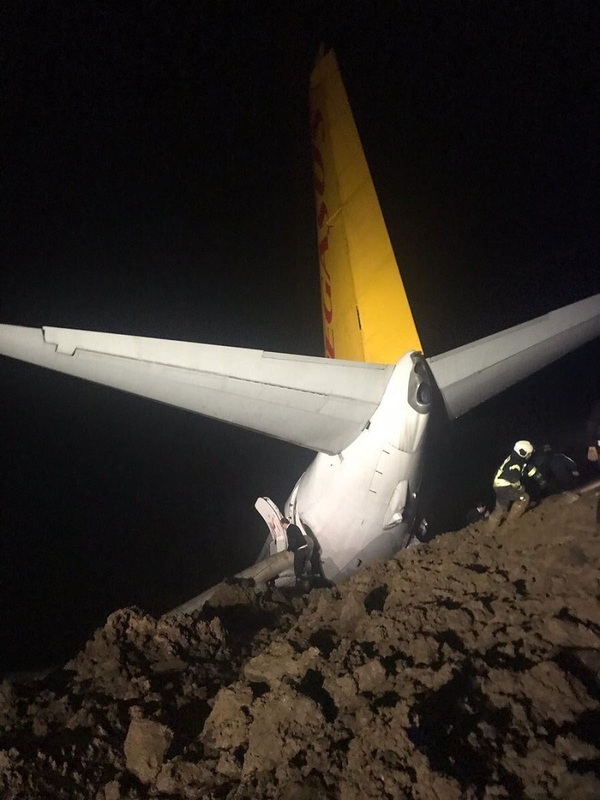 Early reports in Turkish media – based on the reports of both pilots – indicated the right engine #2 (CFM56 -7B26) unintentionally developed forward when the 737 had already reached a slower groundspeed. This created a strong turning momentum around the vertical axis to such an extent the pilots were unable to counteract. 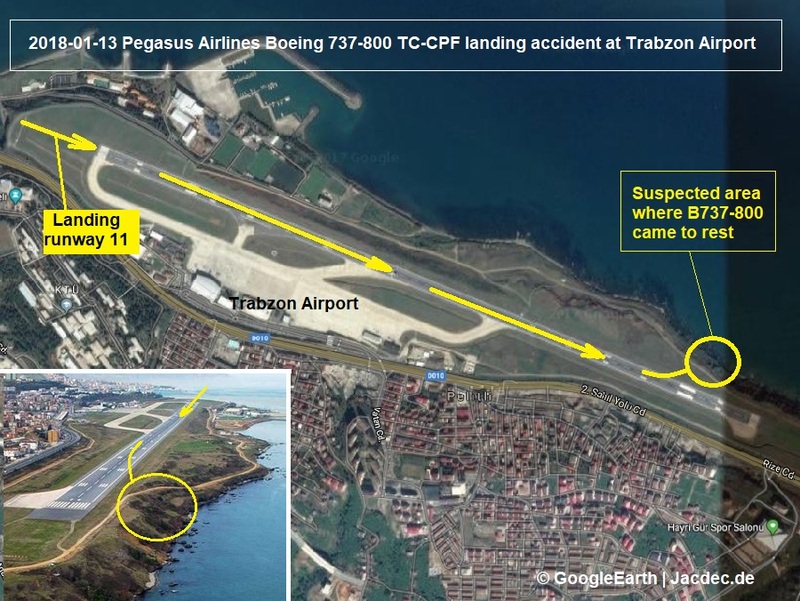 This thrust asymmetry occurred at the end of what appeared to be a normal landing run on runway 11. 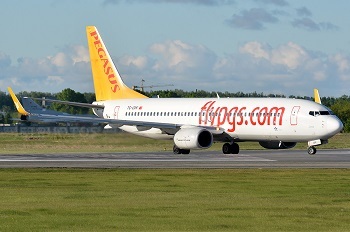 Due to a lack of suitable maintenance facilities, it was decided not to repair the aircraft making it the 1st hull loss for Pegasus Airlines.